The Holy Synod of the Church of Antioch finished its latest session today, and has released a statement in regard to the ongoing crisis situation in Ukraine caused by the Ecumenical Patriarchate's unilateral incursrion into the canonical territory of the Ukrainian Orthodox Church with the intent of unilaterally granting autocephaly to Ukrainian schismatics. The Antiochian Synod met at the Our Lady of Balamand Patriarchal Monastery in Lebanon from Wednesday through today, producing a statement "Concerning the Current Developments in the Orthodox World," posted on the Patriarchate's Facebook page. “The fathers examined the general Orthodox situation. They stressed that the Church of Antioch expresses her deep worries about the attempts to change the boundaries of the Orthodox Churches through a new reading of history. She considers that resorting to a unilateral reading of history does not serve Orthodox unity. It rather contributes to the fueling of the dissensions and quarrels within the one Church. Thus, the Church of Antioch refuses the principle of establishing parallel jurisdictions within the canonical boundaries of the Patriarchates and the autocephalous Churches as a way to solve conflicts, or as a de facto situation in the Orthodox world. 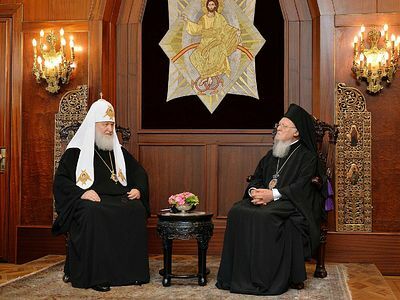 “The fathers of the Church of Antioch underline that any approach for granting the autocephaly of a certain Church has to be in accordance with the Orthodox ecclesiology and the principles agreed upon by the Churches in a conciliar way in the past years. These principles for granting autocephaly are about the necessity to obtain the agreement of the Mother Church and the acknowledgement of all the Orthodox autocephalous Churches. The Church of Antioch affirms the necessity to resort to the principle of unanimity concerning the common Orthodox work and the stand on controversial issues in the Orthodox world, and this unanimity is a true safeguard for Orthodox Unity. 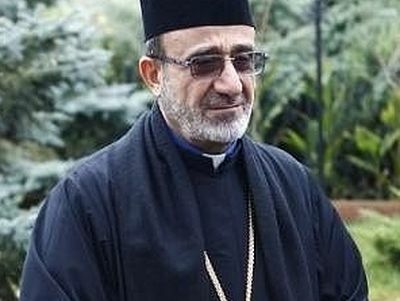 “The Church of Antioch warns of the dangers of implicating the Orthodox world in the international political conflicts and the resulting harms which come from approaching the Orthodox Church’s issues on the basis of politics, ethnicity, and nationalism. 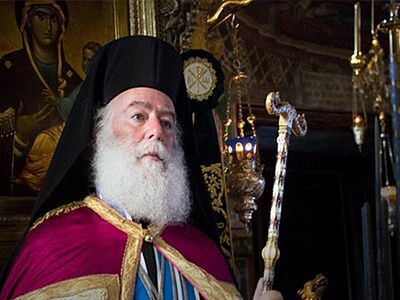 “The Church of Antioch calls upon His All-Holiness the Ecumenical Patriarch to call for an urgent synaxis for the primates of the Orthodox autocephalous Churches in order to discuss the current developments that the Orthodox world is facing about the issue of granting autocephaly to new Churches, and the efforts made to find common solutions before taking any final decisions about this issue. A Canon Aimed at Moscow? Nun Cornelia (Rees) A Canon Aimed at Moscow? “This is all very regrettable—what has happened in Ukrainian Orthodoxy. We know about it. And especially regrettable is that the schism was perpetrated by a man who led the Church for many years, who in Communist times confronted various challenges. But in the end he himself struck a blow against his Church."